Rhinocort aqua nasal spray contains the active ingredient budesonide, which is a type of medicine known as a corticosteroid (or steroid). Corticosteroids are hormones produced naturally by the adrenal glands that have many important functions, including control of inflammatory responses. Budesonide nasal spray is also available without a brand name, ie as the generic medicine. Preventing and treating symptoms of seasonal nasal allergies (seasonal allergic rhinitis) such as hay fever. Inflammation of the nasal lining not due to infection or allergy (vasomotor rhinitis). This nasal spray is suitable for adults and adolescents over 12 years of age. Rhinocort aqua nasal spray contains the active ingredient budesonide, which is a type of medicine known as a corticosteroid (or steroid). Corticosteroids are hormones produced naturally by the adrenal glands that have many important functions, including control of inflammatory responses. Budesonide nasal spray is also available without a brand name, ie as the generic medicine. Budesonide is a synthetic corticosteroid and is adminstered by nasal spray to decrease inflammation in the nasal passages. People who suffer from nasal allergies (allergic rhinitis) such as hay fever tend to experience a variety of symptoms as a result of their allergy. These include a runny, itchy or blocked nose, sneezing and sinus discomfort. These symptoms are a result of inflammation in the nasal passages. The nasal inflammation occurs when the nasal passages are exposed to foreign particles (allergens), for example, pollen, dust mites or pet fur. The allergens cause the cells in the nose to release chemicals that produce immune and allergic responses. These result in inflammation in the nasal passages and the symptoms of the allergy. When administered into the nose, budesonide is absorbed into the cells of the nasal passages. It works by preventing these cells from releasing the chemicals that trigger the allergic response. This stops the allergic reaction from happening, so the nasal inflammation is reduced and the symptoms relieved. Nasal inflammation giving hay fever-type symptoms can also sometimes occur without allergy or infection. This is called vasomotor rhinitis and can also be treated with budesonide nasal spray. The nasal spray will not relieve the symptoms of nasal inflammation immediately, and it can take a few days to have its full effect. For allergies it is therefore most effective to start using the nasal spray a few days before you expect to get symptoms, for example before the start of the pollen season, or if you know you are going to be in contact with pets that give you the allergy. For maximum benefit, the spray should then be used regularly while you are still being exposed to the allergen to keep the nasal inflammation under control. This nasal spray can also be used to treat nasal polyps, which are growths in the nose that occur when the linings of the sinuses become inflamed and swollen, usually as a result of allergy or infection. The inflamed linings push out into the nasal passages, forming the polyps, which can block the nose, making it difficult to breathe through the nose. When budesonide is administered into the nose it reduces the inflammation and so helps to shrink the polyps. Before you use the nasal spray for the first time it needs to be primed by pumping it into the air 5 to 10 times until a fine mist is produced. Hold the bottle upright and away from you while you are doing this. If the nasal spray hasn''t been used for 24 hours you should reprime it in this way before using it again. Follow this link for general instructions on how to use a nasal spray. To treat allergies such as hay fever, adults and adolescents should use either two sprays in each nostril every morning, or one spray in each nostril twice a day, morning and evening. Follow the instructions given by your doctor. Once your symptoms are under control you should reduce your dose to one spray in each nostril once a day. The spray should preferably be used in the morning, though it can be used any time of day if necessary. You should always use the lowest dose necessary to relieve your symptoms. Do not use more than your doctor has prescribed. For allergies, you should preferably start using this nasal spray a few days before you expect to come into contact with the allergen and continue using it regularly all the time you are still exposed to the thing you are allergic to. However you shouldn't use it continuously for more than three months. Follow the instructions given by your doctor. For the treatment of nasal polyps, adults and adolescents should use one spray in each nostril twice a day, morning and evening, for up to three months. Follow the instructions given by your doctor. If you forget to use your nasal spray use it as soon as you remember, unless it is nearly time for your next dose. In this case just leave out the forgotten dose and take the next dose as normal. Don''t use a double dose to make up for a missed dose. The safety of this medicine for use during pregnancy has not been established. Only minimal amounts of the medicine pass into the bloodstream after using the nasal spray. It should be used with caution during pregnancy, and only if the expected benefit to the mother is greater than any possible risk to the developing baby. Seek further medical advice from your doctor. This medicine may pass into breast milk, although after application into the nose the amount that passes into breast milk is probably too small to be harmful to a nursing infant. The manufacturer states that this medicine can be used during breastfeeding. However, as with all medicines, it is important to seek medical advice from your doctor before using this medicine if you are breastfeeding. Dryness and irritation of the nose. Allergic reactions such as rash, itching or swelling of lips, face or tongue (angioedema). Side effects similar to those associated with corticosteroids taken by mouth may occur if this medicine is absorbed into the bloodstream. This is unlikely unless the medicine is used at high doses for prolonged periods of time. See the warning section above or talk to your doctor or pharmacist for more details. Raised pressure in the eye or glaucoma. This medicine is only absorbed into the bloodstream in very small amounts after application into the nose. As such, it is unlikely to significantly affect other medicines that you are taking. 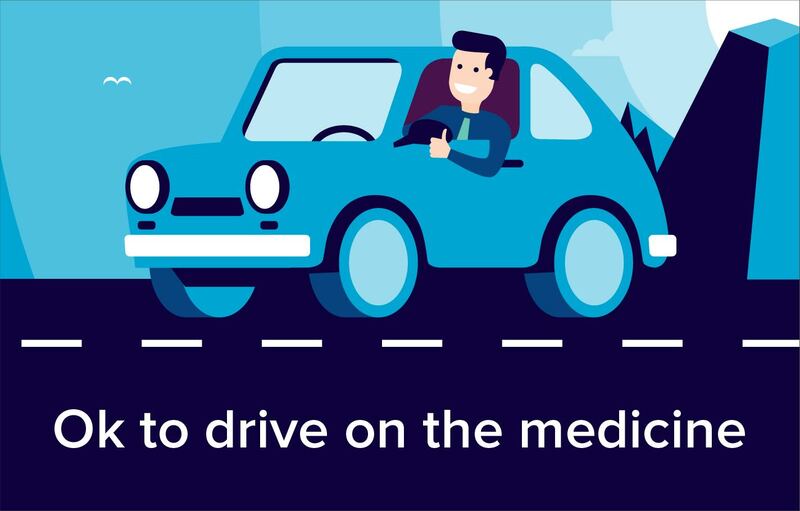 However, if you are taking any other medicines, including those bought without a prescription and herbal medicines, you should tell your doctor or pharmacist before you start treatment with this medicine. This is particularly important if you are or have recently been using any other medicines that contain corticosteroids, for example tablets, injections, eye or nose drops, creams, asthma inhalers, or other similar nasal sprays. This is because there may be an increased chance of adverse effects if you are using more than one type of steroid medication and your doctor may want to monitor you more closely. If you are prescribed a long course (more than one or two weeks) of the antifungals itraconazole or ketoconazole while using this medicine, the antifungal may decrease the breakdown of budesonide by the body. This could increase the risk of its side effects. However, short courses of these antifungals do not have a significant effect on this medicine. The anti-HIV medicine ritonavir and telaprevir for hepatitis C may also decrease the breakdown of budesonide and thus increase the risk of its side effects.